Are you planning a trip to Zürich, Switzerland and do you want to save on public transport ticket and museum admission fees? 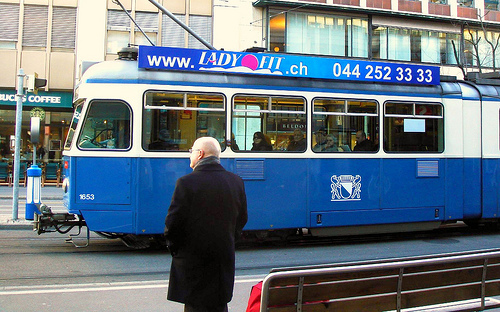 The ZürichCARD is a joint transport and sightseeing pass. This pass allows for free travel on buses and trams that criss-cross the city. It also gives free admission to nearly 40 museums, discounts on important sights and in restaurants. In addition, the Card gives 10% discount at selected Zürich shops, a culinary surprise and further benefits. Zurich public transport system includes trams, buses, trains and boats. Trams and buses run from 5.30 am to midnight. Night buses leave from Bellevue hourly from 1am to 3am on Fridays and Saturdays. The city is divided into zones. Tickets are valid for one hour. They must be bought before boarding and validated at the ticket machines at the bus and tram stops. A Tageskarte or Day Pass allows you to travel for 24 hours on all buses, trams and boats in zone 10. Ferries are also part of Zurich’s public transport network. The city lies at the mouth of the River Limmat, where it spills into the northern end of Lake Zurich. The main ferry terminal is at Enge, on the western shore of Lake Zurich. It is far easier to board at Bürkliplatz. Ferries operate daily from 09:00 to 19:00. There are services to Schmerikon and Rapperswil, at the far end of the lake. You can buy your tickets at the ferry terminal. Buy your ZürichCARD at VBZ Ticketerias, Tourist Information Offices, Zürich Airport, train stations and boat piers or in one of the many hotels in the Zürich area. It is important to validate your tickets before your first journey at the orange ticket machines at the tram stops. The main savings for ZürichCARD holders are for public transport and museum admission fees. However, the card also gives discounts on attractions, shopping, and restaurants. Zürich has a large number of museums of which 40 give free admission to visitors with the ZürichCARD. Zürich's museums range from Kunsthalle and Kunsthaus Zürich to Migros Museum for Contemporary Art and the Museum of Design.